We need to pray this prayer for at least four reasons. #1. Our identity is one of being ambassadors of Jesus Christ to our children(Deut. 6, Eph. 6:1-4, 2 Cor. 5:20). God’s clearly revealed will is to use us as the primary evangelizers and disciplers of “our” children. To do this well, our hearts need to embrace what is already true about us: that we have been given this calling. God’s callings are His enablings. #2. We are easily distracted by everything going on around us.Technology has made our attention spans like that of gnats on espresso. Instant gratification is just milliseconds away. Consequently, we’d rather lick the icing than make the cake. Priorities? What are those? Everything seems equal in importance. We complain about the tyranny of the urgent but in our worst moments we use it is a convenient excuse for why we rarely engage our children on a deeper, spiritual level. What do we really value most? Our hearts must change. #3. We would rather pursue things that bring us glory.Let’s be honest. 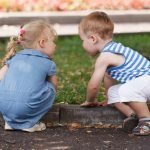 Discipling children, even with its joys, is still what sometimes feels like an odyssey into the paranormal that does more to humble us than shower us with accolades of success. We find it easier to give our time to pursuits that we find much more affirming, immediately rewarding and fun. Our hearts must change. #4. God is conforming our children into his image, not our image.Our children were created in God’s image, not our own. Jesus’ death and resurrection ensures the transformation of his children into his image. Yet, how often do we find ourselves trying to conform them to an identity that wehave planned out for them? God has a plan for “our” children that usually looks different than our own. We have to stop the tug-of-war with God. God’s dream needs to become our dream. Our hearts need to change. Time is short. It seems to go by ever so slowly until you wake up and realize that you’ve been at it ten years and the things you wanted to do “tomorrow” you didn’t do. Regret is hard to live with. I already regret things I should have done but didn’t because in key moments, my heart was somewhere else. Good fathers are not perfect (as if that were even possible). Instead, good fathers are weak fathers who have hearts that are increasingly mastered not by guilt, fear, or self-righteousness but by the overwhelming, compelling love of Jesus Christ for us—in our weakness. His love for us becomes compelling when each day we realize ALL that he has done for us in making us new creations and giving us every spiritual blessing. We have been given a new identity that is rocket fuel for us fathers. What are you praying for as a father? Is it for God to change your heart toward your children? If so, seeing all that God has already given you in Jesus is a powerful tool he will use to answer your prayer. Take a look at what Jesus has done for you! Please consider the following two resources. 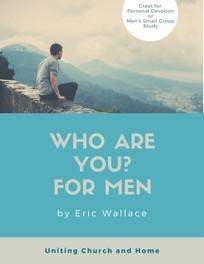 First, my 38 minute webinar, Three Wounds Fathers Face and How Our Identity in Christ Helps us Overcome Them, and then second, our 25 page booklet, Who ARE You? For Men!